Not long after entering the Panera Bread restaurant at the Westfield Mall in Milford one is transported out of the mall and into a wonderful world that manages to bring fast food to a new level by combining speed and relatively low prices with delicious food in a way that makes it the perfect option for everyone. What makes this restaurant chain the perfect choice for a quick meal is its enticing menu, while the “bread” in the restaurant’s name would seem to focus on the bakery element of this restaurant, the wide variety of delicious food items from salads to flatbread sandwiches to soups, this restaurant offers a good sized menu that can appeal to almost anyone. Walking through the doors the aroma of the baked goods and delicious food draws you in, and the pick-two option that allows you to choose two items off the menu instead of trying to decide on just one, as well as the 99 cent bakery item option, makes it nearly impossible to not have the most amazing meal you've had all week. While the food is amazing, the atmosphere also adds a lot to the experience, the roaring fireplace and the casual seating allows for groups to enjoy eating in a booth or for individuals to grab a comfy seat by the fire. Combined with the free Wi-Fi offered to customers Panera allows its customers, not who they are, to find a great meal and a comfortable environment to enjoy it in. Originally founded in 1981 as St. Louis Bread this restaurant chain has now come to be known as the perfect place to grab a coffee with your friends, or to grab a quick meal during your lunch break. Many people may wonder what separates this from other “fast-food” chain restaurants is its dedication to its customer’s experience. While other restaurants have shied away from being straight with their customers, Panera was the second company of its type to post its calorie information at all locations and on its website demonstrating its dedication to being there for its customers. Panera as a company is one that is dedicated to providing the ultimate eating experience for its customers, the atmosphere and menu has created the ultimate eating location for anyone looking for a good meal. Eating at Panera is unlike most restaurant experiences, the atmosphere is very cozy and warm even to the extent of having a lit fireplace to sit by. When you walk in, this atmosphere is almost as striking as the food. 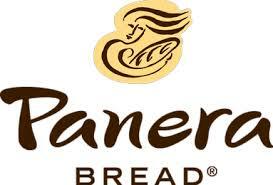 Since Panera is a bakery and a café there are both amazing bakery items such as scones, cookies and cakes as well as a wide array of delicious food items including a variety of salads, soups, sandwiches and much more, all of which are amazing. Because there are so many options to choose from, it is impossible to choose just one; that is why when I go with my friends we always choose the pick two option which allows us to have two half-sized meals instead of one full entrée. This restaurant is so good I just want to eat there all the time, alas, if I did I would probably gain 20 lbs. While it is wonderful that Panera openly displays the calorie information on their menu, it is hard to accept that their full size macaroni and cheese entrée has 980 calories. Their baked goods and delicious meals will always fill my dreams. But I have to restrain myself from indulging myself too often, and only going on rare occasions.